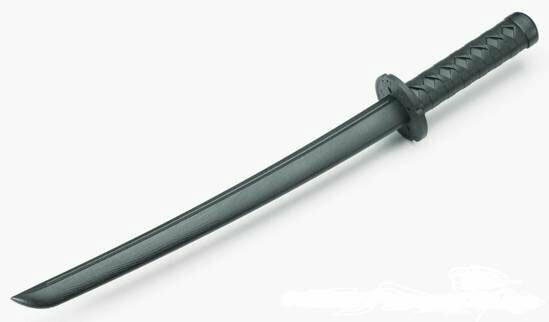 Wakizashi bokken is made of the polypropylene and closely duplicates a real wood boken in length, size, weight and feel. Comes with round tsuba. I have a Cold Steel Bokken Wakizashi and an older - Cold Steel Bokken and I am very pleased with these weapons. Wakizashi bokken black PP is stronger and more realistic than I expected, and my son is very excited about it! Only now we can train both as a true samurai :). Thank you swords24!